My name is Scott Brennan and I’m originally from New York and I’ve been living in Mexico since 2010. 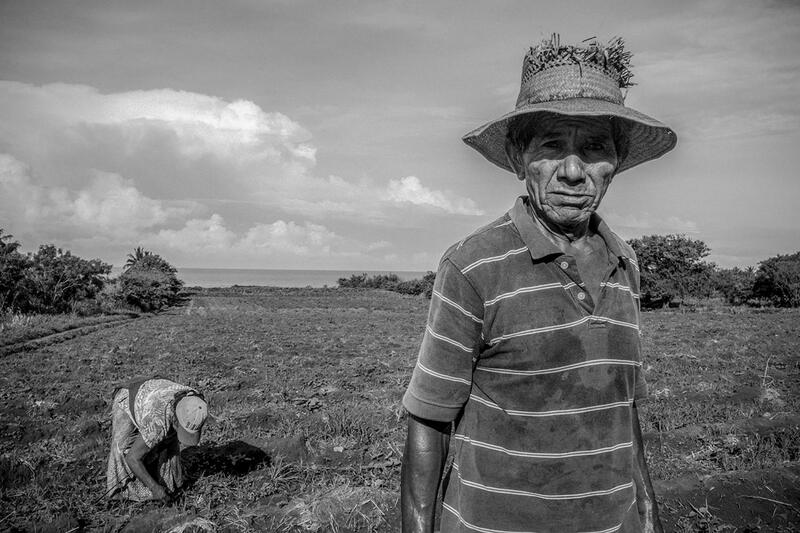 My main interest in photography is documenting the struggles of indigenous groups in Latin America and their ongoing fights to defend their territories and cultures. I graduated with a Master’s degree in 2005 from The London College of Communication in photojournalism and documentary photography under Patrick Sutherland and Paul Lowe. I’ve freelanced for The New York Times, Time Magazine, The Ground Truth Project, The BBC, Tlachinollan and Amnesty International. This project is fiscally sponsored by The Blue Earth Alliance and this year won first place for Pictures of the Year International’s Community Awareness Award. 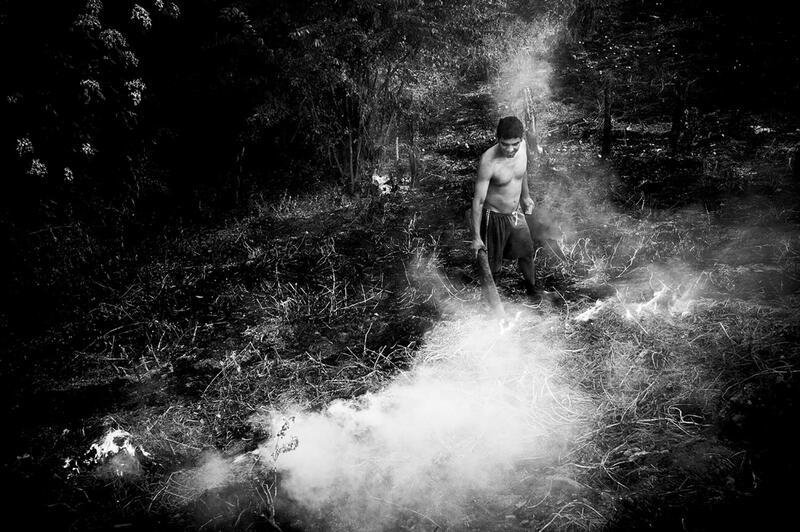 This photographic project focuses on two indigenous populations that are working in order to enact social and environmental justice in the face of some of the world’s most dangerous elements of organized crime and corruption. 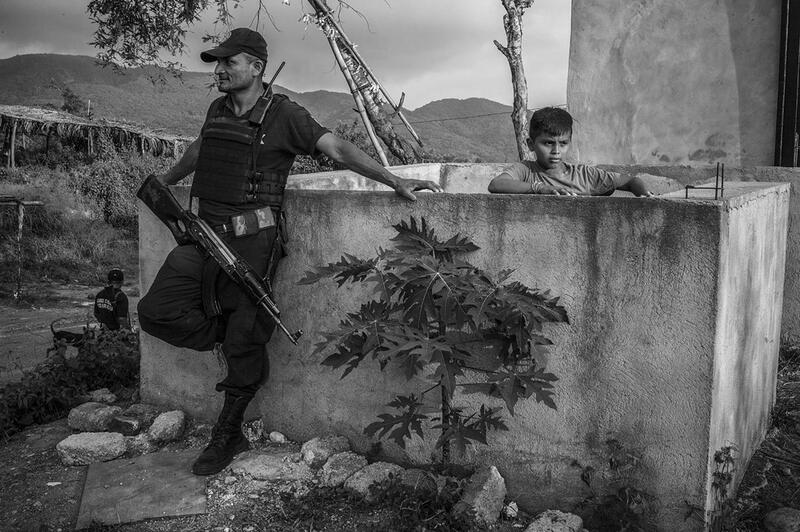 The communities are Santa Maria de Ostula and Cherán K’eri, both in the notoriously violent state of Michoacan in southern Mexico. 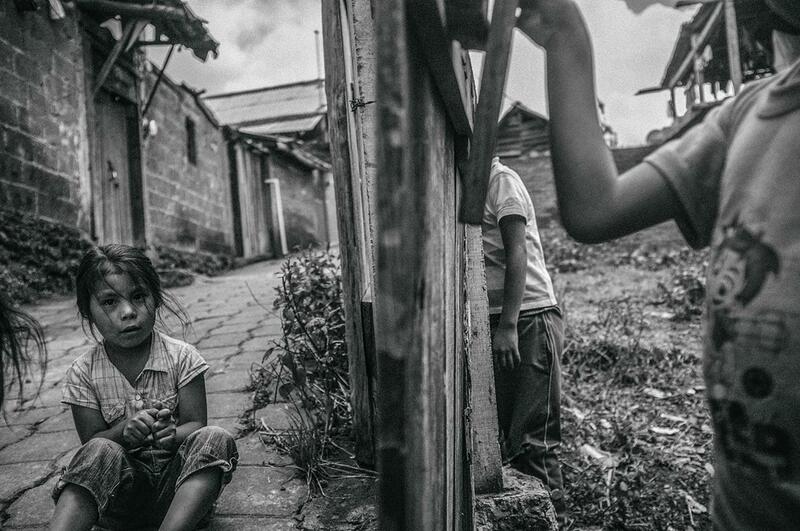 These two municipalities have begun social movements of ethnically and culturally indigenous peoples establishing semi-autonomous, grassroots governments in response to rampant violence, corruption, environmental degradation and the failure of the social contract. Their claims to the right to self-determination are based on a clause of the Mexican Constitution. This clause, Article 2, allows indigenous towns to govern themselves in traditional means that fall outside of the institutionalized Mexican political system. 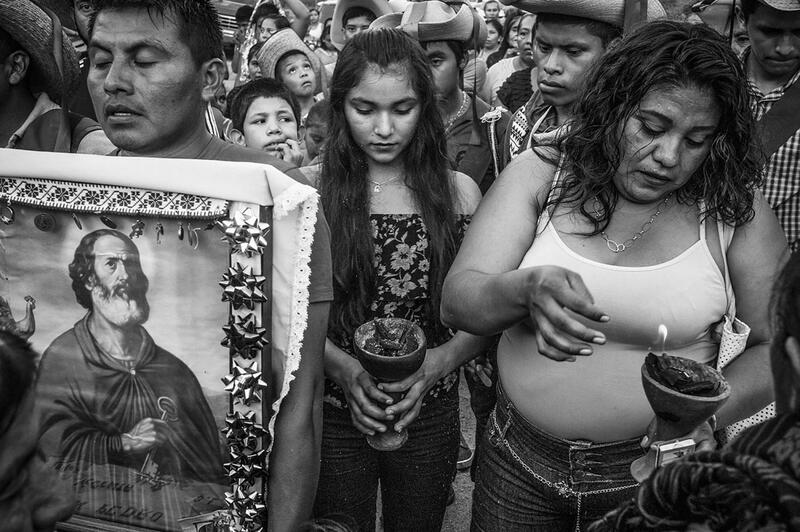 These movements, initiated by Mexico’s most dispossessed, marginalized populations demonstrate their capability to find their own solutions to some of humanity’s most pressing problems: crime, lack of education, disappearing cultural heritage, environmental degradation and corruption. The land is not the only territory the members of Ostula are trying to protect. They also have virgin coastlines that they regularly fish. The ample sealife has allowed the town’s along the coast of Ostula to fish and supply themselves with enough food to eat and sell to external towns. The coastline is coveted by all sorts of interests. Here, local fisherman Tomas prepares his lines to head out to see by night in order to fish. Here, local young members of the community socialize at an afternoon soccer game held on the coastal plains of the vast territory of Ostula. 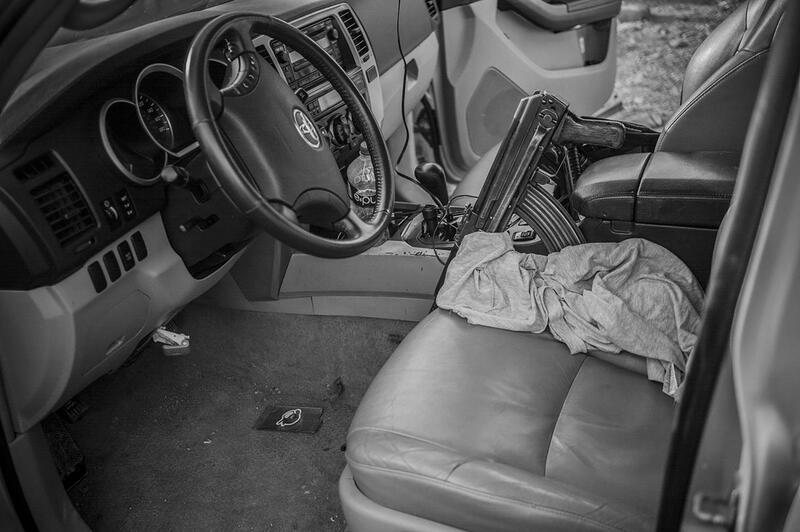 This is the interior of the personal truck of one of the community leaders of Ostula. 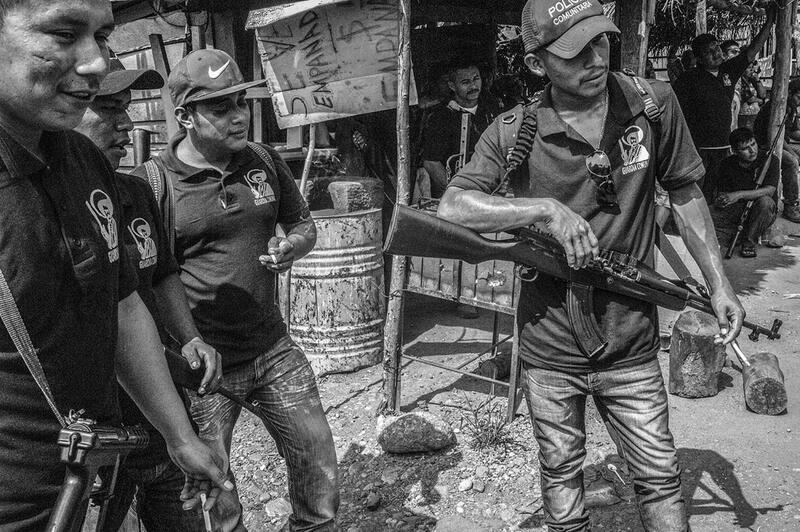 Security forces and community leaders must travel armed and protected in order to keep themselves and the community safe from the myriad of interests that wish to topple their social, political and environmental movement. 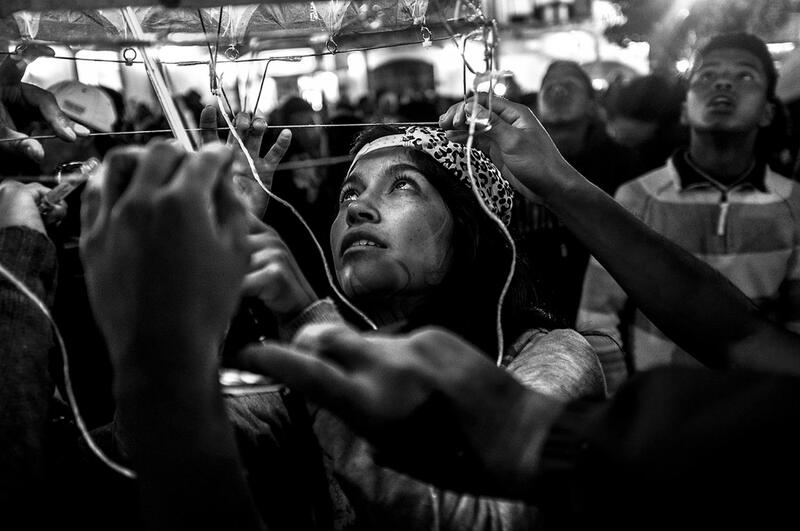 Seventeen year old Paula Lopez and her team from Mexico City lights her massive hot air balloon (non-manned) creation during Cherán K’eri’s annual hot air balloon festival and competition. She and hundreds of other competitors travel from around the country to take part in the event that is organized by the autonomous government in order to keep local indigenous and regional traditions alive and well. Shortly after she lit her 70 foot high massive balloon she won the grand prize in the contest. This event happens every August in Cherán K’eri. Means of agriculture in Ostula are carried out in ways that have been done for hundreds of years. 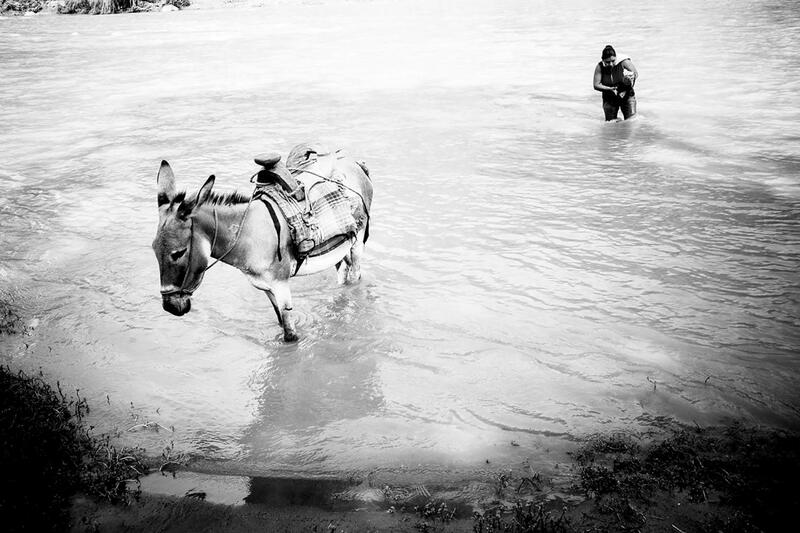 Here, a local campesina crosses the great Ostula River with her donkey to hike up a mountainside to collect seven watermelons from her farm which is a three hour hike each way. 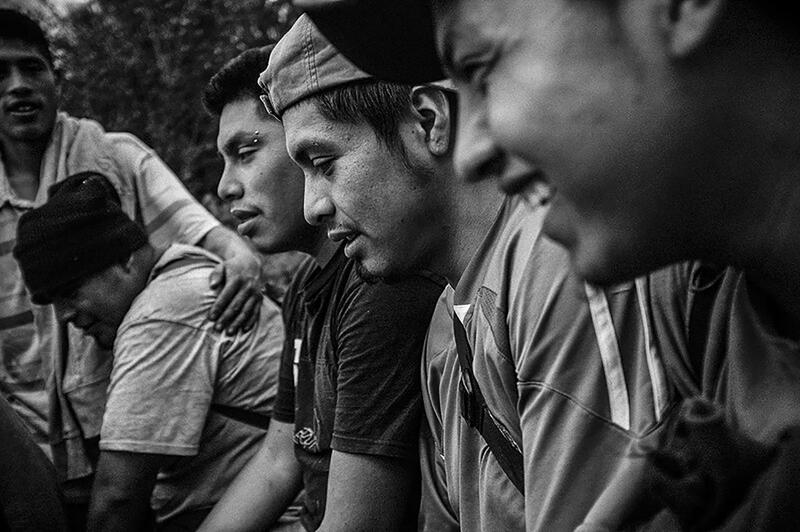 From July to August Cherán gathers volunteers to hike into the forest, where snipers have murdered community members, in order to plant new pine saplings in the decimated, deforested areas. 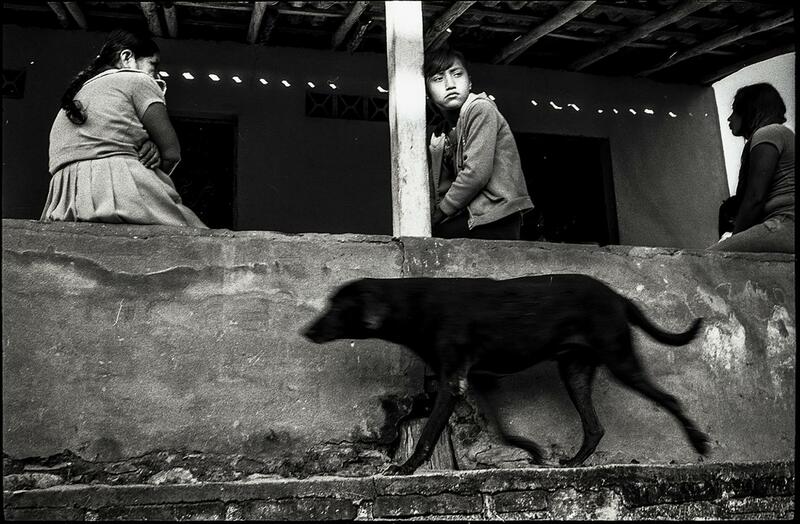 Teenagers, elders and small children make the trek into the forest protected by heavily armed guards on horseback, to reforest the areas that were cut down. Comunero (community member and movement supporter) Miguel Geronimo says, "What we're doing here will be well worth it someday soon. Our children and grand children will once again have shade to play in and trees to stare up at and dream into." Cherán K'eri; town in resistance defending environmental and social justice. Volunteer reforesters return from work in the evening after spending the day replanting trees in a forest where violent illegal loggers have protected their business with murder. 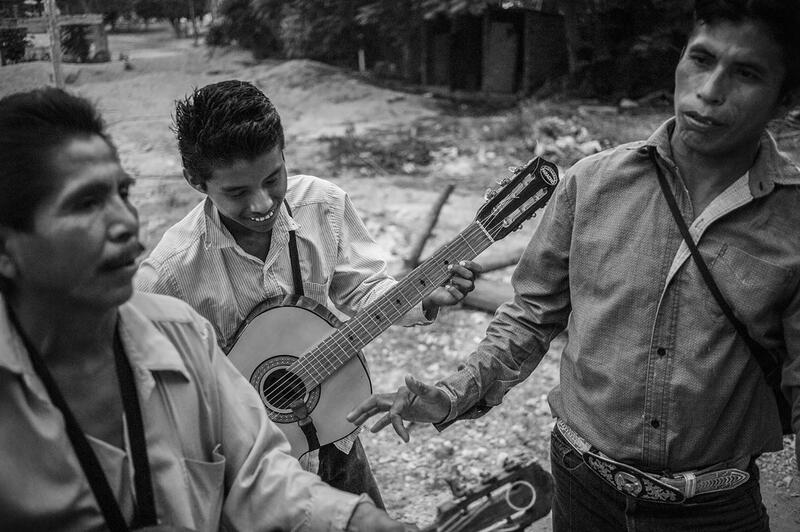 Local musicians from the zone play music unique to the region at a local quinceñera. The region is rich in cultural traditions that are being fought to be preserved. Joakim is an elder of Ostula from the town of La Cobanera. Joakim grew up speaking Nahuatl, the language of the Aztecs, and the waning indigenous language of the region. As a child Nahuatl was officially discouraged in favor of Spanish. Today, local officials from the resistance- autonomous movement have asked Joakim how he can help in the schools to resurrect the use of the language and how he can help in the construction of a bilingual program. 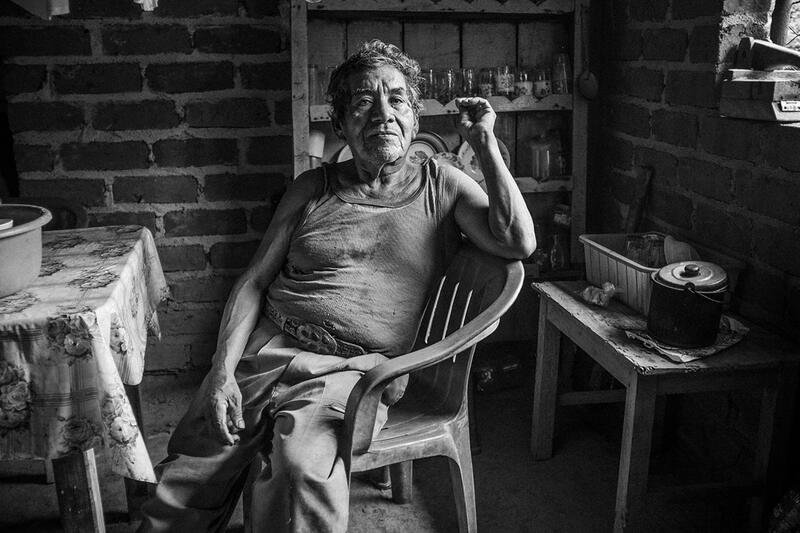 Unfortunately these elders are not literate in Nahuatl, nor are they trained as educators. Many of the bilingual programs that attempt to reclaim the linguistic heritage fall short due to resources. The indigenous region of Ostula is largely independent because of its subsistence farming and hunting traditions that have remained largely unchanged for millenium. 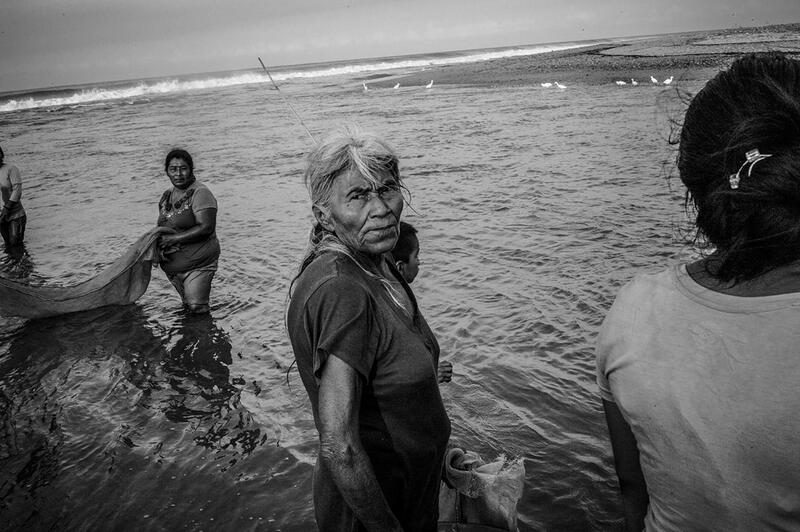 Here, where the Ostula river empties into the Pacific Ocean at the town of La Ticla, community members fish tiny fish locally called Gardumo which make an appearance in the river only about five times per year. This river is the life line of the community and many are petrified that if mining companies and hotels and big business get their way and topple the autonomous movement and move into the zone the lively river will be quickly killed by contaminants as has been the case with other rivers of similar size in Mexico. This river mouth also has helped form a great surfing pointbreak frequented by the occasional international surfer. Here in Palma Sola local community members welcome the Virgin of Guadalupe of Ostula to their town with a syncretist religious procession that mixes both indigeneous and European Catholic elements. These traditions are part of the culture and the history that they are protecting with their social movement. In Santa Maria de Ostula every September 10 and December 13 for centuries the indigenous community has been carrying out a unique form of street theater that was brought from Spain to the region in the 16th century. When it arrived the European battle between the Moors and Christians was mixed with indigenous cultural elements to form a syncretist tradition that exists intact today. 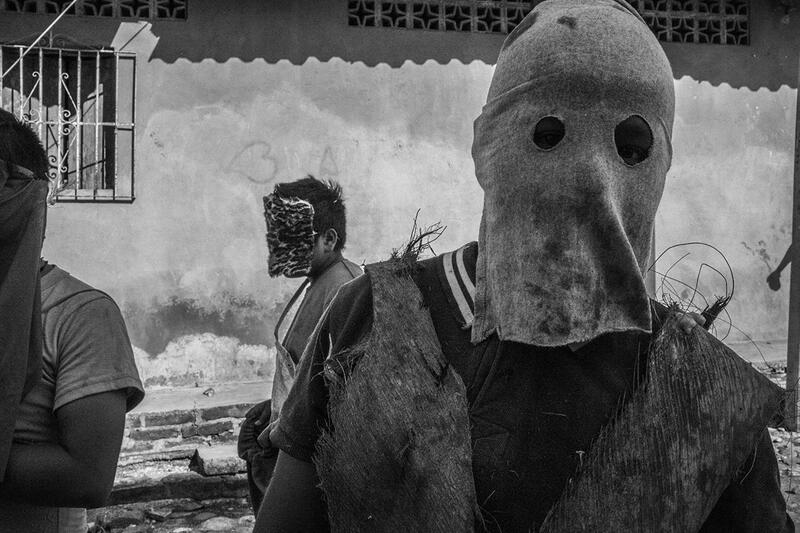 Here we can see what are called “Xayacates” which are ghost like figures that alongside the Moors and Christians haunt the street theater and represent an element of chaos and uncertainty- a physical manifestation of the rupture of all and any social norms during war. 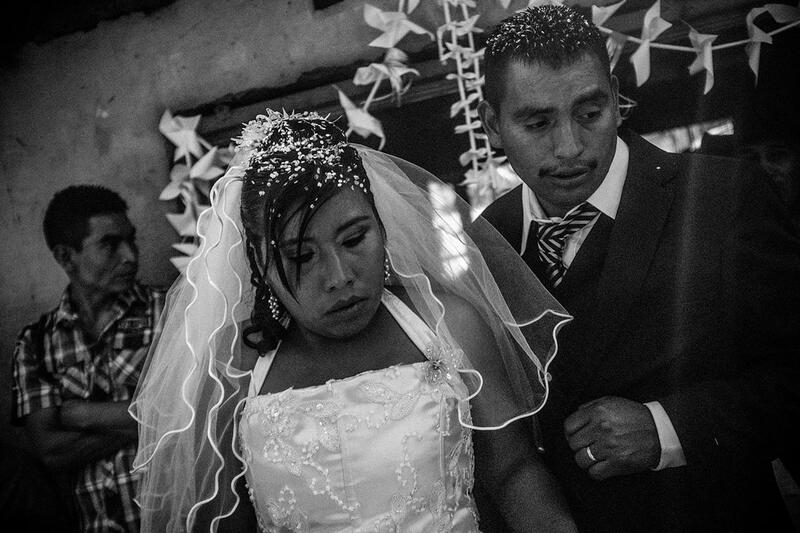 These traditions that are carried out only in Ostula are an example of the cultural traditions that these current social movements in Mexico are trying desperately to save. In many of the towns within the municipality of Ostula there are very little modern amenities. Part of the social movement is to preserve this situation and these ways of life from the onslaught of modernization. 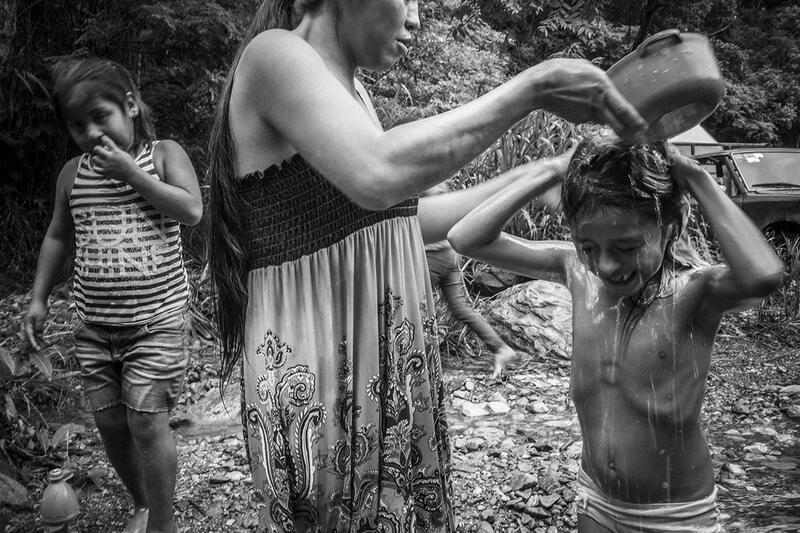 Here a family from the town of El Duín bathe in a local river during the week as the town goes at times weeks on end within running water. 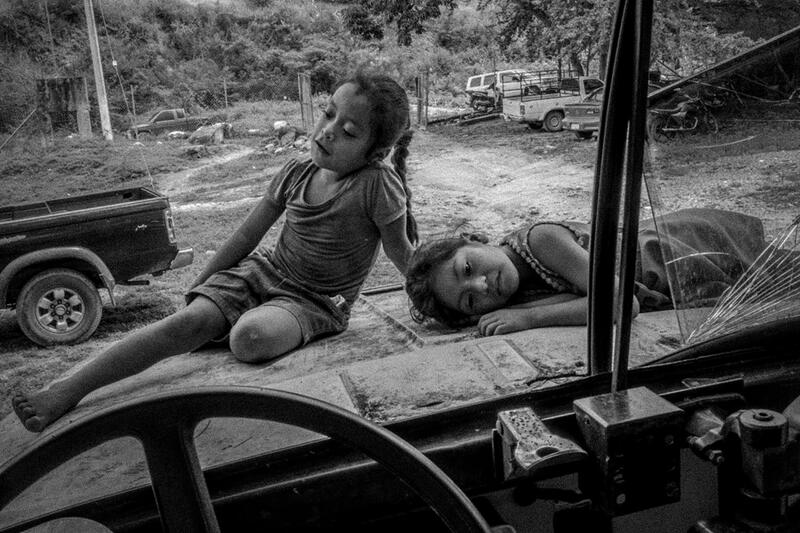 Young girls play in an abandoned bus while the adults of the town attend their monthly local government meeting. 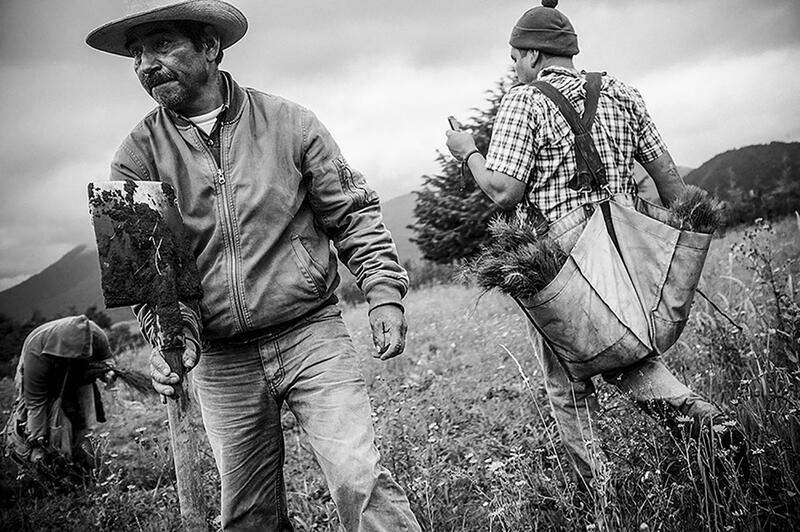 In the town Cherán K'eri of the meseta Purépecha in the mountains of Michoacán, Mexico the culturally indigenous population has established an autonomous government which celebrates the town's cultural and traditional identity. Here depicted is a traditional wedding celebrated and planned by a young couple. Before the movement these types of weddings were increasingly less common. Since the movement the traditional weddings have seen a resurgence. 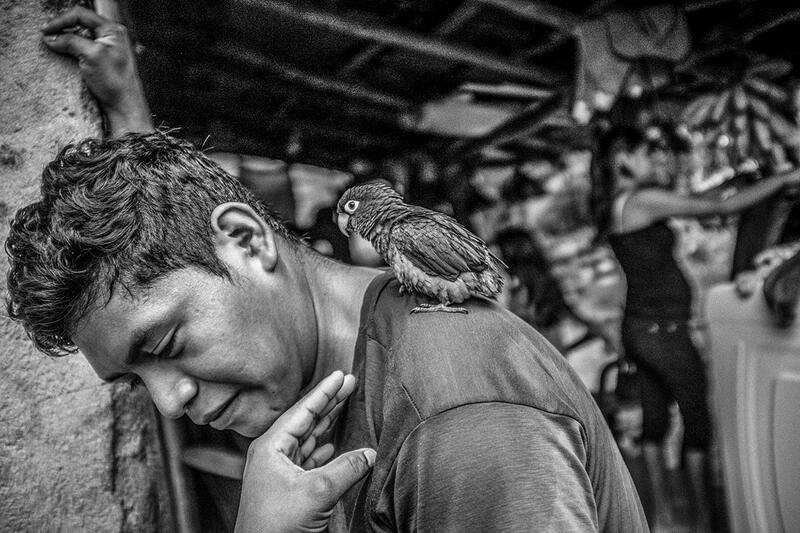 “El Gavilan” (The hawk) patrols the Northern most border of Santa Maria de Ostula at the checkpoint/filter of Xayakalan. These checkpoints allow the community to have a filter monitoring who comes in and who leaves. 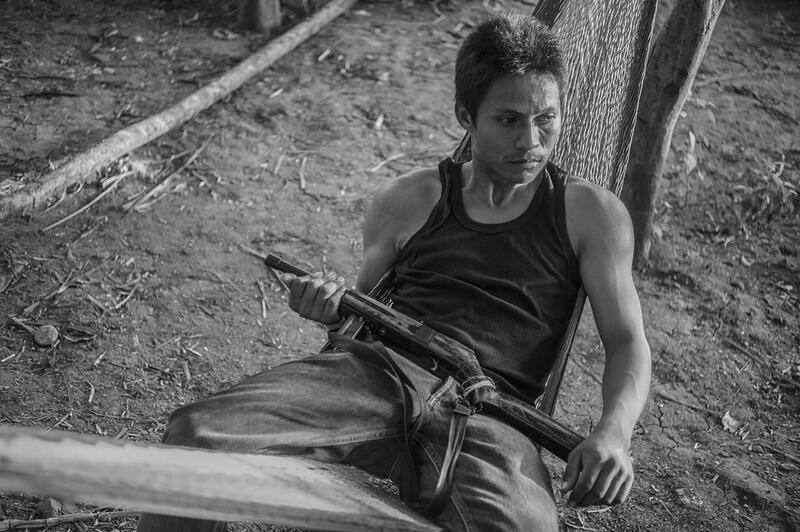 Cemeí, community leader, social activist and security leader checks out a gun of the town’s security forces in front of his son and his friend. 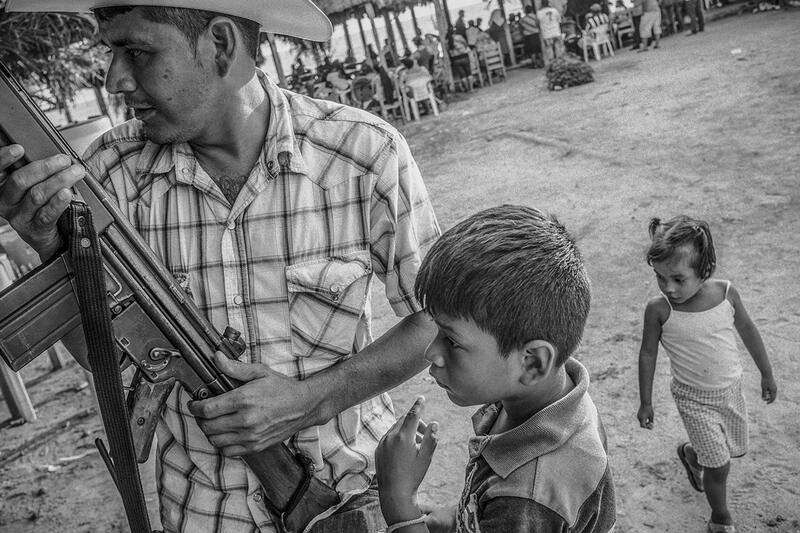 Growing up in the Mexican countryside, children are unfortunately regularly around guns. 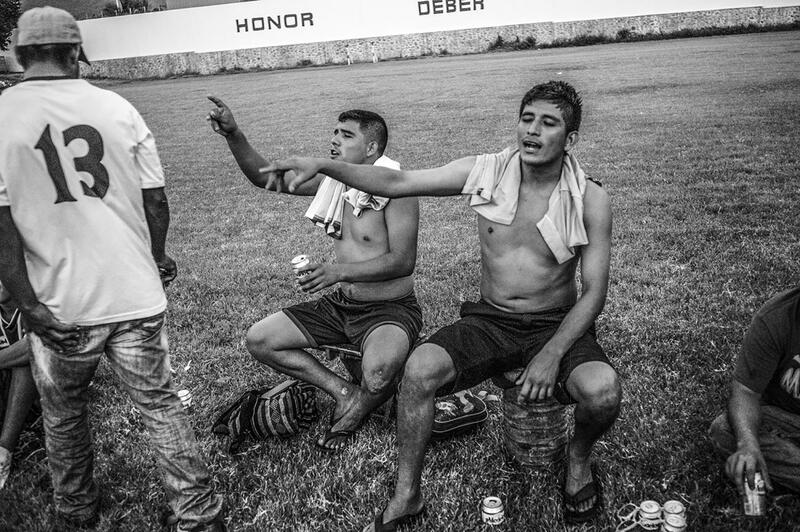 Soccer is a great way of socializing throughout Mexico, and this is the case in Ostula. For the indigenous region of Ostula its a great way of interacting and socializing outside of the vast territory. 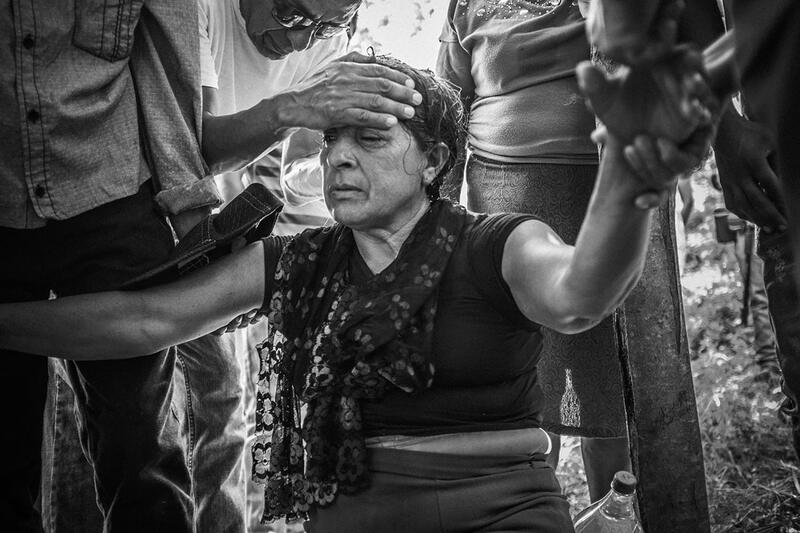 Here is pictured a celebration immediately outside of the Ostula territory in La Placita, a largely Mestizo town. 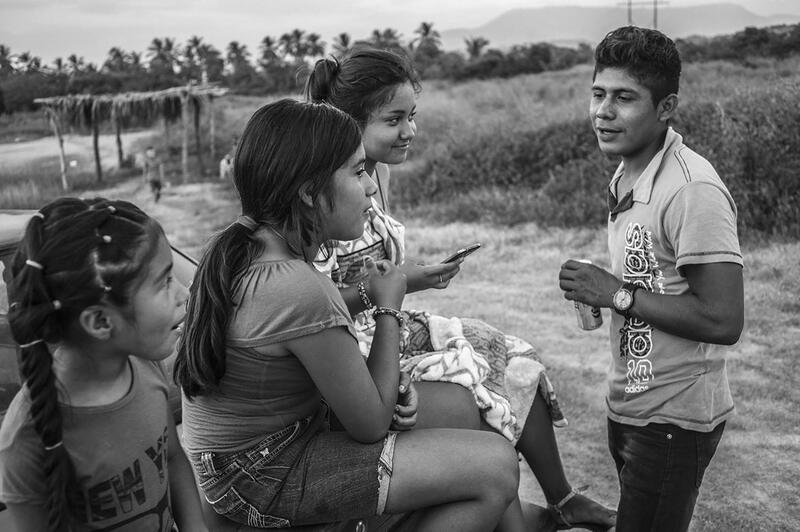 Cheran's leaders have stated that they wish to invest in the youth of the town by offering them regular bilingual classes in both the Purépecha and Spanish languages as every day the number of community members who speak Purépecha fluently are dwindling. 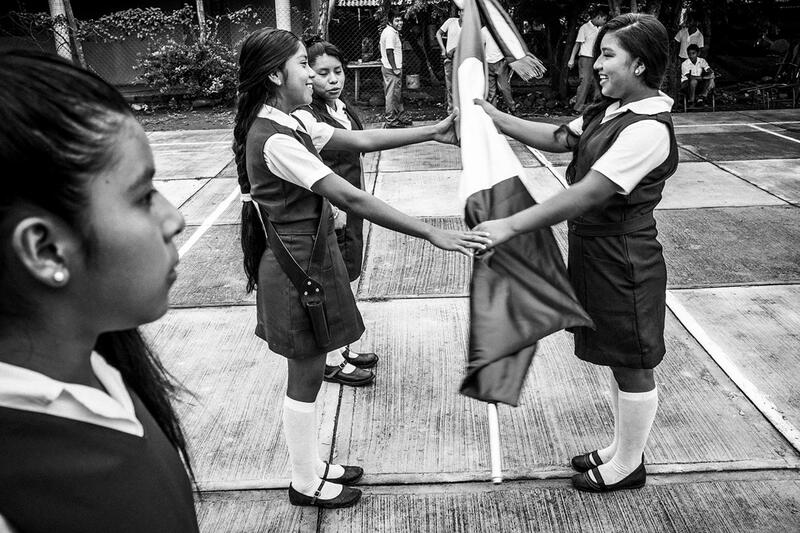 Purépecha, for the new movement has become more prestigious and rightly seen as an important part of the region's culture. So far, it has been easier said than done, as fluent Purépecha speakers with formal education and the ability to efficiently teach a non-necessary second language, are few and far between. Today, the youth are not learning much more than phrases and words. 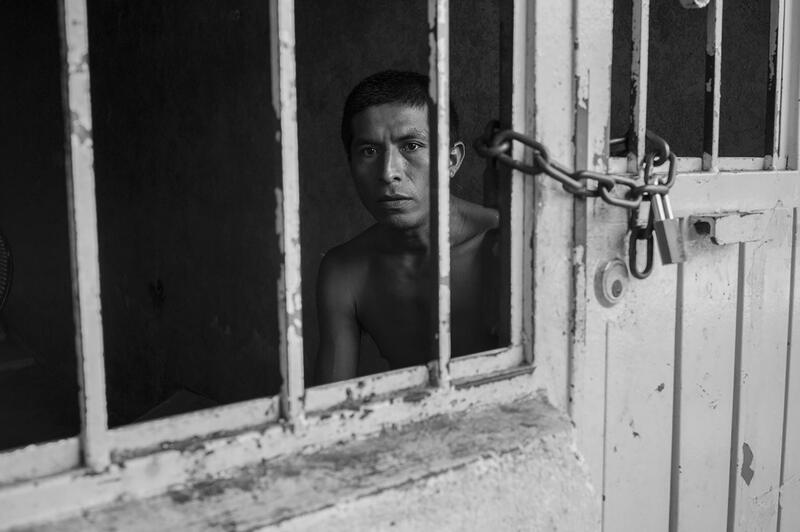 But, the will is there and Cherán is determined to continue making it a priority. 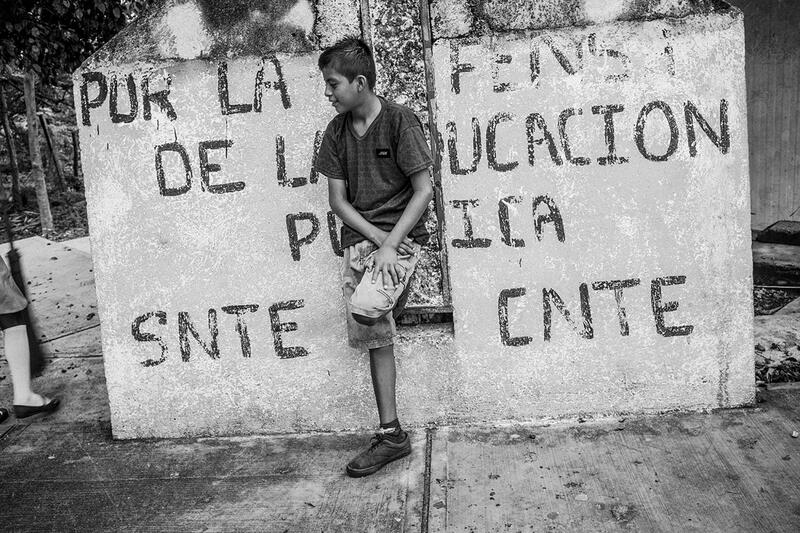 Here, in a public school a student rests in front of a sign put up by the country’s most powerful teacher and worker’s unions. 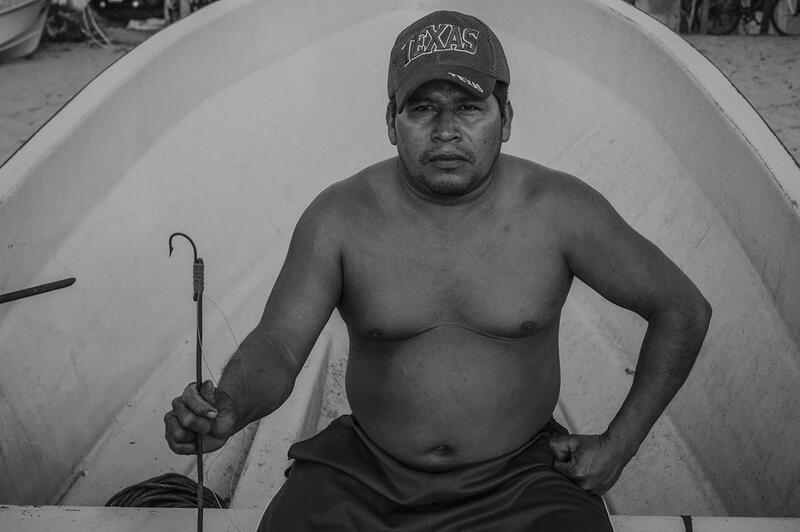 The land is not the only part of the territory the members of Ostula are trying to protect. They also have virgin coastlines that they regularly fish. The ample sealife has allowed the town’s along the coast of Ostula to fish and supply themselves with enough food to eat and sell to external towns. The coastline is coveted by all sorts of interests. 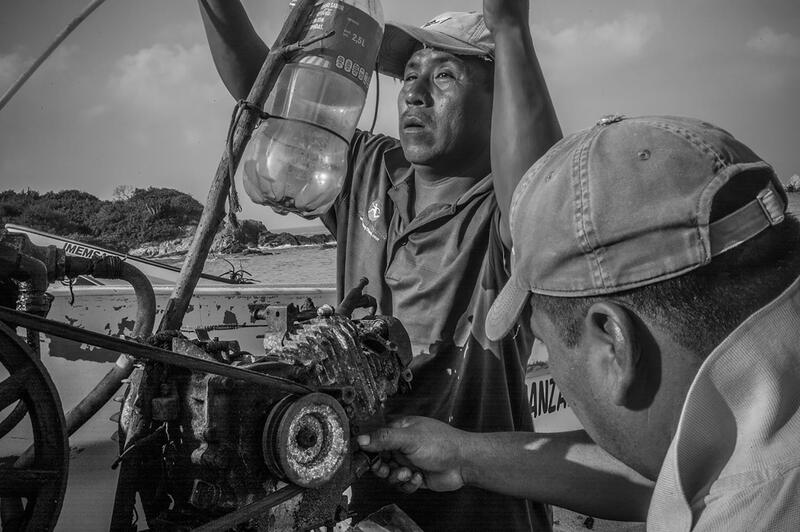 Here, local fisherman prepare the motor that will pump their air as they scuba dive with a makeshift hose up to ten meters beneath the ocean’s surface. The soda bottle holds the gas.